The weather is gorgeous, business is booming, and I'm eating plenty of delicious fall foods. I don't have much to complain about. Joe recently bought a Fitbit on sale. At first, I had no idea what it was and didn't pay attention when he told me. But after the first day when he mentioned how many hours he slept and how many steps he walked, I decided I wanted one, too. Luckily, I was able to grab one on sale as well, and it. Is. Awesome. I was surprised to learn that I get plenty of good sleep, and I'm rather moderately active, just from baking all day long. Who knew? Anyway, since I'm getting my 10,000 steps a day, I decided it was a-okay to make this ice cream that we'd been thinking about ever since our trip to Boston. Before we left for our trip, we had heard lots of things about how Boston has great ice-cream and they're a very "ice cream-crazed" city. Well, they did not deliver, folks. We went to maybe four ice cream places in three days but none really wowed us. And the one place that really wowed Joe when he lived there was only accessible by car, and we didn't have a car. Ice cream isn't my favorite dessert so what really gets me is unique flavors. We just happened to go on days when everything was rather basic (I had heard of a place doing Earl Grey! But not the day we went). On the morning of our bus to NYC, we decided to try one last place called JP Licks because it opened at 7am. I was pretty surprised that an ice cream shop opened at 7am until we got there and I realized it was also a coffee shop... and we were the only kids sampling ice cream in a sea of people grabbing coffee and breakfast goods. Every sample we tried was delicious. I especially liked the passionfruit yogurt. Ultimately, we really liked the Oreo with chocolate chip cookie dough. Joe is to blame for this--he's always requesting some sort of crunchy texture in everything he eats. Actually, Indians tend to eat something crunchy with all their meals, even potato chips as a side if that's all that's there, but I've never really needed it. However, Joe loves varying textures in food, and he's definitely passed that on to me. When we got home, I was determined to try this flavor out again, from scratch. And it worked! I pureed about 15 oreos and stirred them into the base of the ice cream, until the whole thing turned grey, and then added some crushed oreos and bits of chocolate chip cookie dough. The ice cream itself is pretty smooth, with the oreos adding a lovely flavor that is not too sweet. The chocolate chip cookie dough is soft and chewy with a crunch from the chocolate chips. It's not necessary but damn, is it good. I have a feeling my favorite muppet, the cookie monster, would be more than happy with this. As a fellow cookie monster, I loved it. I shared a couple of pints with friends and kept a pint just for us. We've been savoring it ever since, especially in the warm weather. And if you have leftover chocolate chip cookie dough, make these! Stir two tablespoons of the milk with cornstarch in a bowl. Put the cream cheese and salt in a medium bowl and set aside. Combine the remaining milk, cream, sugar, and corn syrup in a large saucepan and bring to a rolling boil over medium to high heat. Stir the cornstarch slurry to make sure there are no lumps. Lower the heat and whisk in the cornstarch slurry, and then turn to medium-high heat again. Bring back to a boil and stir with a spatula until slightly thickened (about 1 minute). 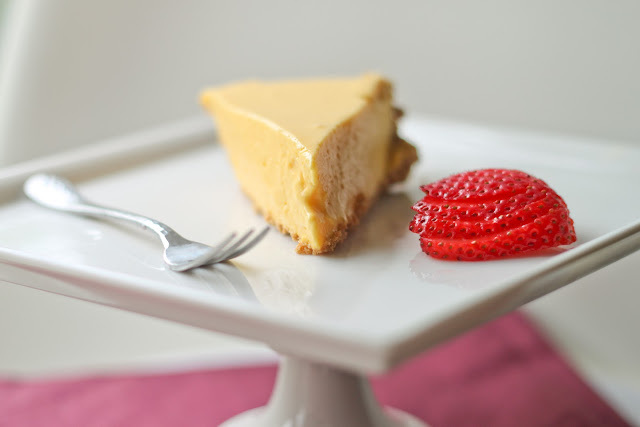 Gradually whisk the hot milk mixture into the cream cheese and salt until smooth. Cover the bowl with a lid or plastic wrap and place in the fridge until chilled thoroughly. Pour the ice cream base into your ice cream maker and follow the manufacturer's directions (mine says to churn for 20 minutes). In the last 5 minutes, stir in the ground Oreos while still churning, and then the crushed Oreos. Freeze until firm, at least 4 hours. Beat the butter and the sugar until light in color and fluffy. Stir in the rest of the ingredients. Let chill in a bowl and then break off and roll into little balls, dropping them into the ice cream. having tried this ice cream and almost finished it within 48 hours because it tasted so good...I have to say that I am already planning to buy the ingredients this week to make this ice cream! Best. texture. ever. And I hadn't realized that the grey color is from pureed oreo! No wonder I like it more than regular chocolate ice cream. OMG. Oreos are like my favorite thing ever. IN ICE CREAM!! 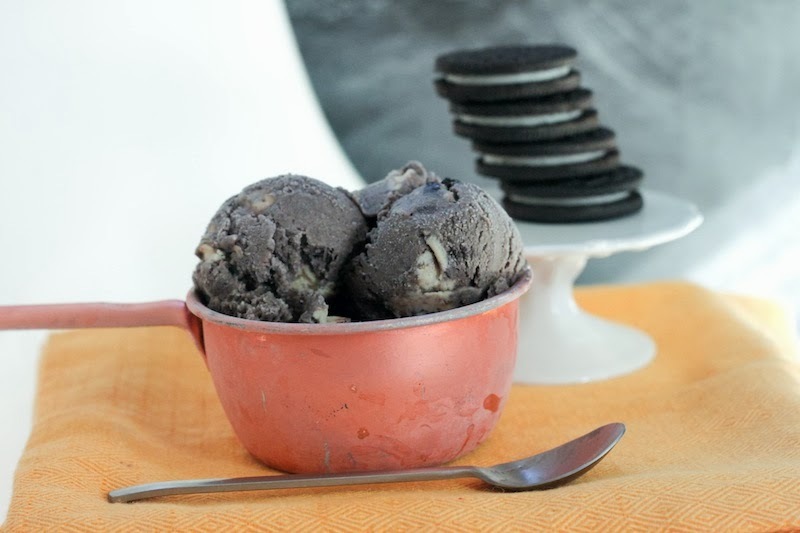 And the concept of making the ice cream base OUT of Oreos (instead of just putting chopped Oreos into it) GENIUS! I know it's cooling down around here but today's high is 95 which means I STILL HAVE AN EXCUSE TO MAKE THIS! Thanks, dear! Black cocoa powder is dark magic, I'm sure of it. Ooo! very creative and great combo of flavoring! :D I wish i were in stl just so i can try this!